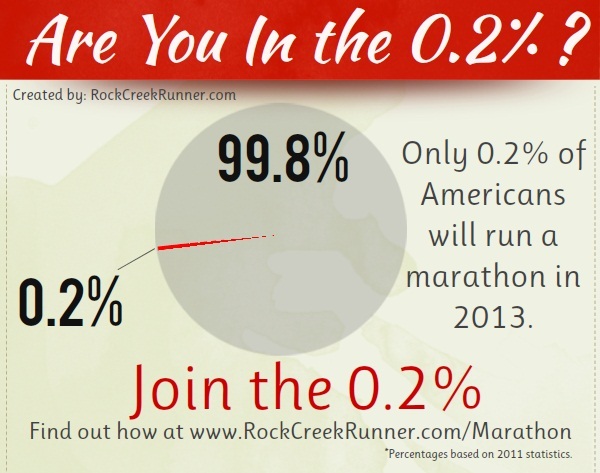 In 2013, roughly 0.2 % of Americans will finish a marathon. That isn’t very many. But each year that number grows and so does the number of race options for runners. The first step to running a marathon is committing to an actual race. I always tell people, “If you want to run a marathon, just sign up!” Clicking “Register” and entering in your payment information is the best motivator their is. Without actually signing up first, it will be a lot easier to ‘never get around to training’. As the sport grows, making that first step has become increasingly easier. The great gift of more options means we can now select a race that fits our expectations, budgets, and timing. It is beautiful, really. Choosing the right marathon, especially if it is your first one, can be one of the most important parts about the entire training process. It can shape how you train, how much you will spend on the race, the level of excitement you have leading up to race day, and the overall experience you have during your hours on the road. Having been through this process many times, most recently when planning my 2013 race schedule, I have learned that breaking the decision process down into 5 simple categories of consideration can go a really long way. The time of year when you want to race dictates what races are actually available. While marathons are run year round, most larger races are either held in the spring or the fall. The most popular months for marathons are March-April and October. This calendar is designed to ensure pleasant race day temperatures, but it will often leave you training through the cold winter or blazing summer months. It is up to you to decide which season you prefer to spend the long training hours running through. Once you have that down, you can focus on the next item on my list, location. In my opinion, location is probably the most important thing to consider when picking your next marathon. The best place to start when considering a location is by deciding if you want to run a local race or a destination race. Go through this list and any items you come up with on your own, and figure out what is most important to you. If keeping cost down and logistics simple is at the top of the list, stay local. If you are looking for an exciting adventure, maybe find a destination race. Once you have decided on local vs. destination, look back into the options you still have. Do you want to run an inner city marathon? A country marathon? One around a lake or up a mountain? Maybe even in another country? You can find a marathon in just about any location imaginable (even the South Pole! ), just figure out what feels right for you. In general, I like to stay local because there is nothing better than crawling into your own bed after a long race, but I have also had a few awesome races far from home. When the local options don’t fit your needs, it is a good excuse to look elsewhere. When it comes to marathoning, size matters. If you’ve run a few races already, I’m sure you’ve noticed the huge difference between a large race and a small grassroots race. Large corporate races like the Rock N Roll marathon series, New York, Chicago, Boston, or Marine Corps Marathon have tens of thousands or runner toe the line each year. They start in waves based on estimated finish time. They bring out large crowds, massive support efforts, and loads of energy at the start and finish. It can be really exciting to run a large marathon. It can also be overwhelming. Large races mean getting to the start that much earlier, fighting big crowds for pre-race port-o-potties, and spending the first few miles weaving in and out of the inevitable mass of runners who started in the wrong corral. On the flip side, hundreds of small, grassroots marathons are run each year. Instead of 30,000 runners, you can put your mental and physical strength up against 300 runners. They often aren’t nearly as competitive, offer plenty of comradely, and will give you that low stress, casual feel many runners long for. At the same time, small races also mean less energy, less aid, and usually less swag. Looking into the size of a race before signing up is important. If you are dreading the crowds, or lack of crowds, it will make getting up on race morning that much more painful. All marathons are not created equal. To compare the Blue Ridge Marathon, with over 7,000 feet of elevation change to the Steamtown Marathon with a net 955 foot drop, is useless. They might both be 26.2 miles in length, but the effort involved in finishing is very different. Every marathon has their own distinct course profile, and you need to figure out what kind of profile will motivate you. If you are trying to qualify for Boston, set a new PR, or conquer the marathon distance for the very first time, looking for a flat marathon might be the way to go. If making the challenge as difficult as possible gets your mojo pumping, finding a mountain marathon may be in your future. 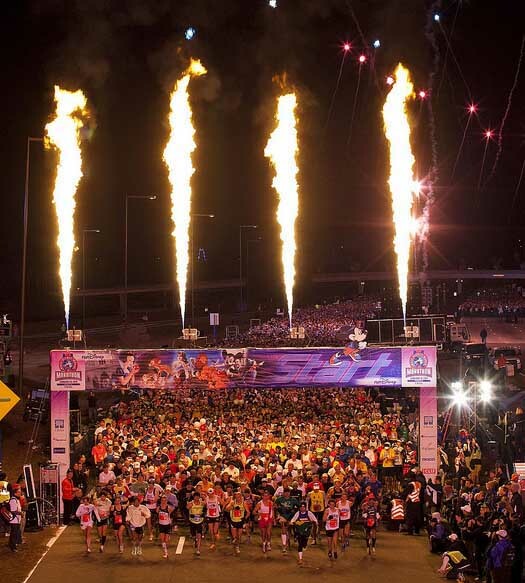 Cost can be a major factor when choosing your next marathon. This year, the New York City Marathon cost runners up to $255 just to enter. Add transportation, accommodations, and food for out of towners, and you are looking at a very expensive torture festival. Compare that to the beautiful Virginia Creeper Marathon in Abingdon Virginia, where the entry fee is a whopping $10, and you will see how doing some research is important if cost is an issue. The general rule of thumb is that the bigger the marathon and the more corporate it is, the more expensive it is going to be. It is expensive to close off city streets for hours and hours, so look for a marathon in the country or one that starts out of a small town to avoid high costs. The bottom line is that everyone has their own preferences. Your dream race might be totally different than my dream race. That is the beauty of participating in such a simple sport that is so widely run. That perfect option is out there, you just need to find it. Take advantage of resources like Marathon Guide, Runners World, and other race directories to help make the decision process easier. What are some of your favorite races and marathons? Have you ever run a marathon you really loved or hated?